DroneBase has been proudly servicing the Insurance industry since our inception. 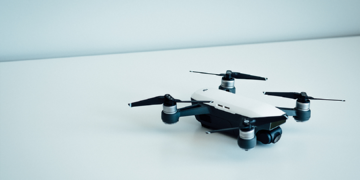 From hurricane relief and surveillance efforts to standard roof inspections, we've helped some of the largest nationwide insurance carriers save time, money, and even lives, by replacing traditional inspection means with drone services. When it comes to safety & risk assessment, efficiency is key – and there’s no greater efficiency than using drone technology to reduce the time and costs associated with insurance inspections, claims assessments, and high-value personal line properties. Drones have quickly become the leading method for collecting critical property imagery, due to the many efficiencies drones have created. All orders can be placed and accessed in our easy-to-navigate Customer Dashboard, designed with customer convenience in mind. All of our high-quality, drone-captured data is yours to own and integrate into your workflow as needed. 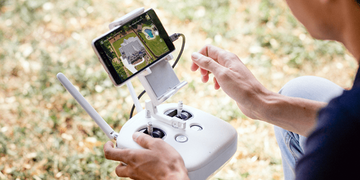 The DroneBase API allows Insurance companies companies to work with us at scale. It offers our customers a way to seamlessly send 100’s or 1000’s of orders directly into our workflow to maximize efficiency, lower costs, and decrease turnaround time. Starting up with DroneBase takes only a few simple clicks! Visit www.dronebase.com/getstarted to request information from our experienced Insurance Sales team. Whether you have 1 or 100,000 orders, we'll guide you through the process and ensure that your experience is seamless, time-friendly, and cost-effective. Ready to take your business to the next level? Get started with DroneBase today!